When will ObiScanner be available in my country? If your country is not listed in the Distributors page, please contact us at hello@obiscanner.com for more information. How much does ObiScanner cost? Contact the distributor(s) of your country to get a quote. Where can I buy ObiScanner? Contact one of the distributors at www.obiscanner.com/distributors/. I have a problem with ObiScanner. What should I do? If you have encountered a problem with your ObiScanner, and you have not found a solution in our FAQs, please contact us at hello@obiscanner.com. We will contact you as soon as possible. Does ObiScanner come with dedicated software? Yes, ObiScanner uses an ad hoc management software, which does not require a monthly fee. If you need information about its use, please visit our dedicated page www.tutorials.obiscanner.com. Are there any updates to ObiScanner software? ObiScanner software updates are free of charge and you can run them directly from the application. If you subscribe to our newsletter, you will receive an email when new updates are available. What are the system requirements for using ObiScanner? 8GB of free disk space.  What file formats are supported by ObiScanner? With ObiScanner, you can import .stl, .ply and .obj files, and you can export .obj and .ply formats. Is the ObiScanner compatible with MAC? ObiScanner can be used with Parrallels on Mac. Check the tutorials at tutorials.obiscanner.com for more info. Why is the mesh rendered by the ObiScanner software slightly dark? you have not used the Adjust light and brightness feature available on the software. Which program can I use to superimpose the cone beam and/or intraoral scan with the face scan? You can use the CAD you want. ObiScanner uses (and installs) MeshLab, as it is free of charge. We have created tutorials for Exocad, which you can find here. Other tutorials will be produced shortly. Are STL files supported by ObiScanner? If you mean: “Can I import my stl files related to the specific patient into his folder?” the answer is yes. If you mean: “Is the face scan in .stl file?” the answer is no. But don’t worry, this has been done because .stl files do not support color (mesh/texture) on the models. That is why we decided to use another super famous, open standard and widely used type of file: .obj. Note that also .ply export is possible through ObiScanner software. Why is the 3D model only half lit? Why is the 3D model overexposed? Why does the 3D model have a non-natural colored skin? Why does the 3D model have a black artefact on the nose area? Why is the 3D model out of focus and poorly defined? Can I scan a patient wearing glasses? Why does the 3D model have closed eyes? Why are not the 3D model eyes facing the camera?